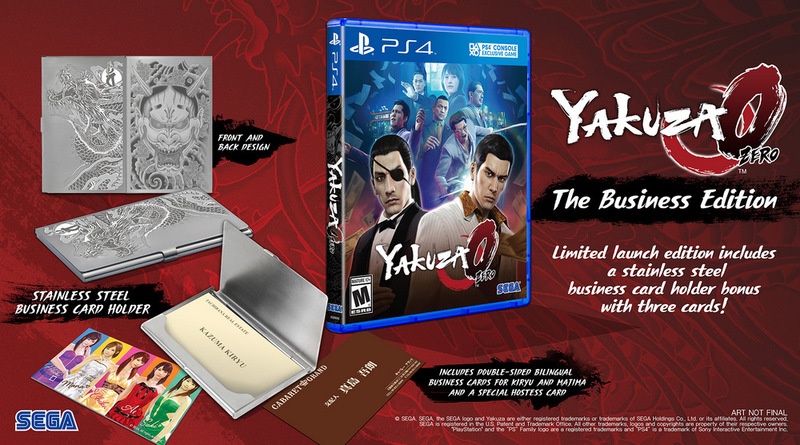 A Stainless Steel Business Card Holder - This edition of the game will come with an ultra sleek business card holder tailor made for gangster executives. 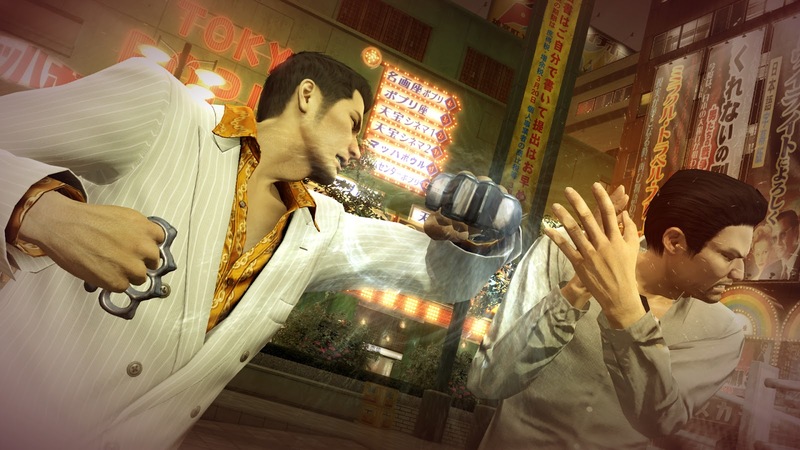 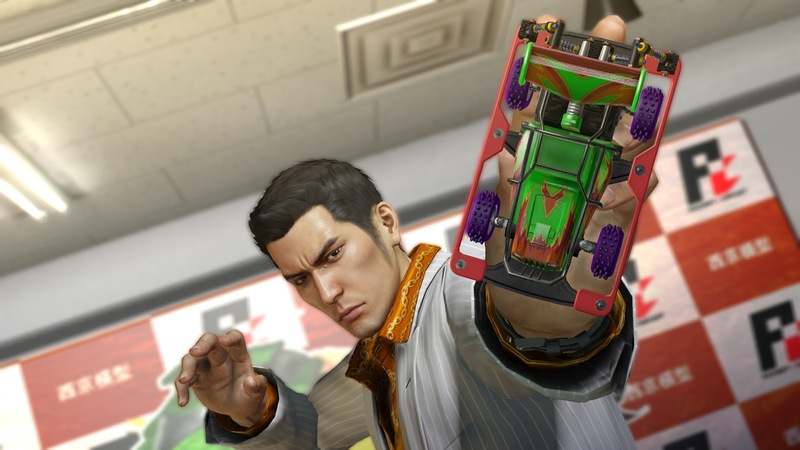 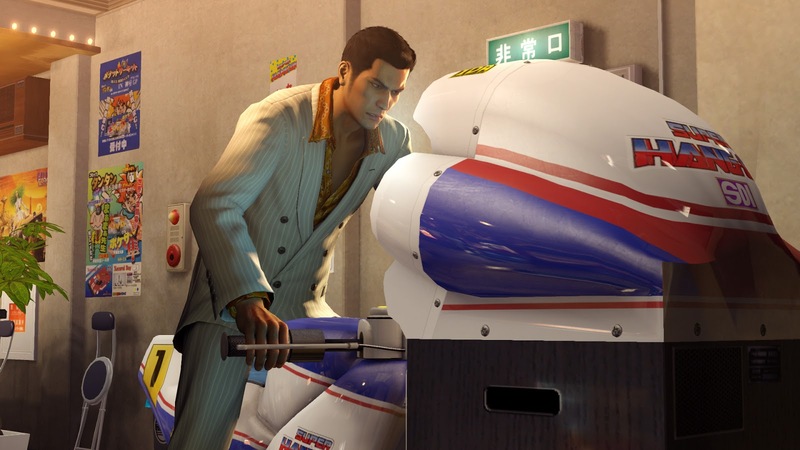 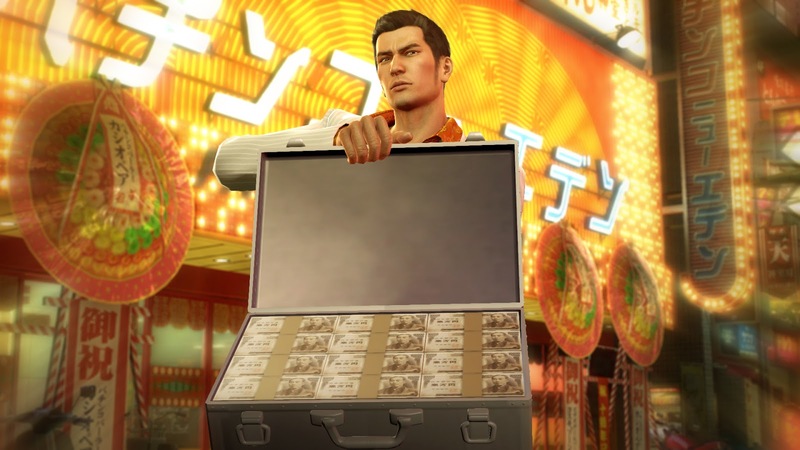 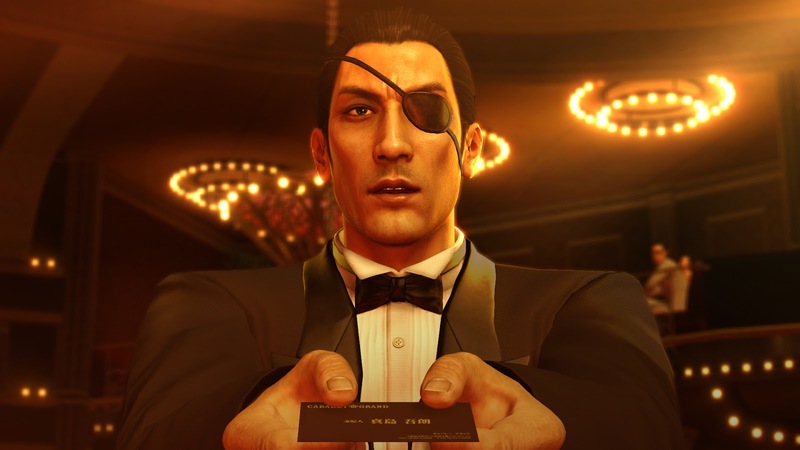 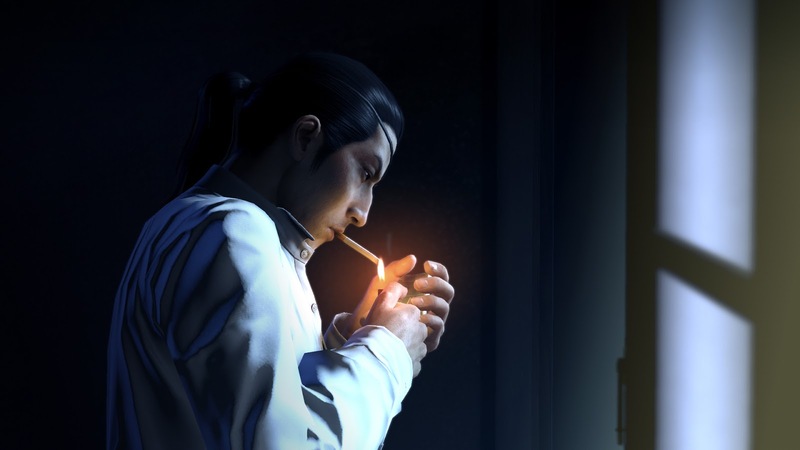 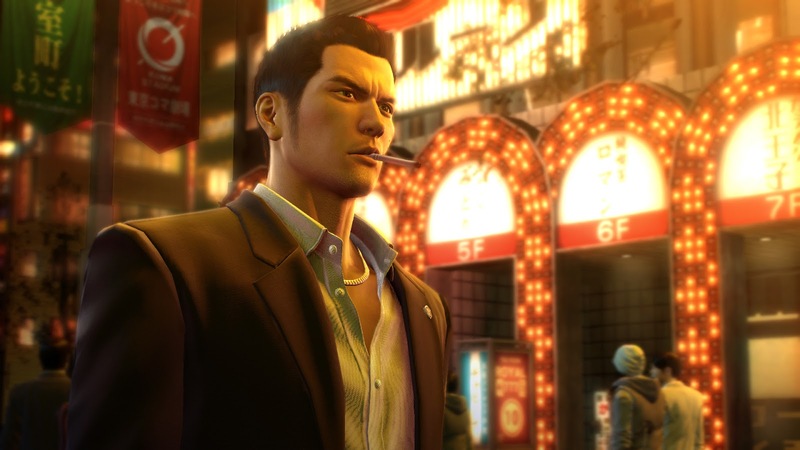 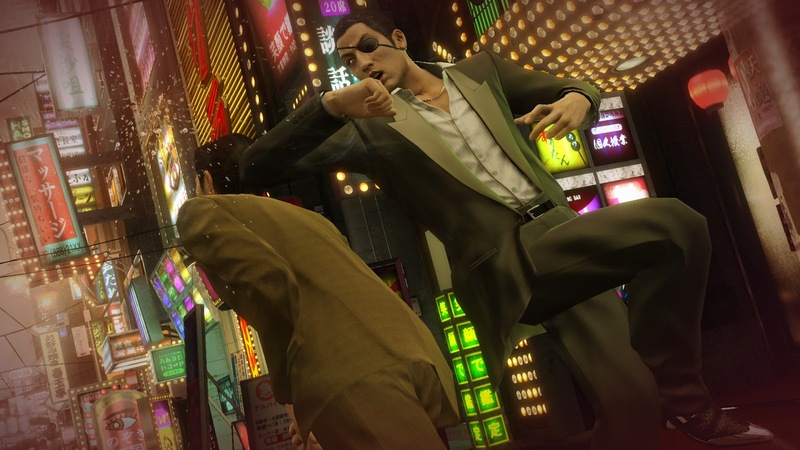 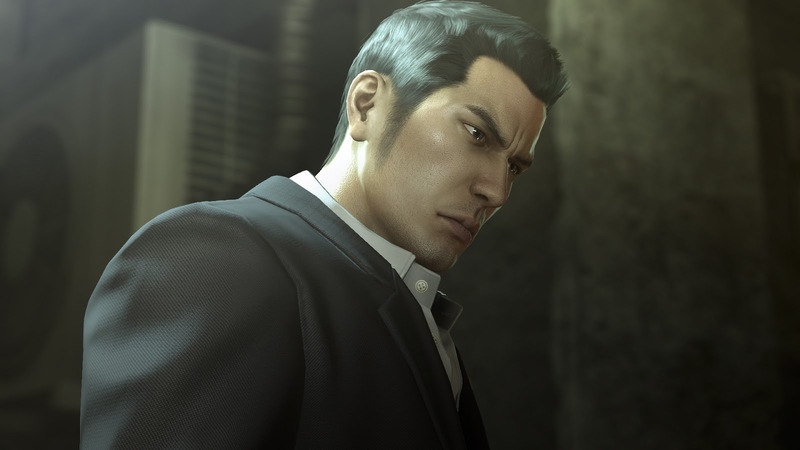 Show everyone in the boardroom you mean... business when it's time to whip out the cards, because Kiryu's 'Ryu' (dragon) and Majima's 'Hanya' (demon) tattoo design adorn each side of the card holder. 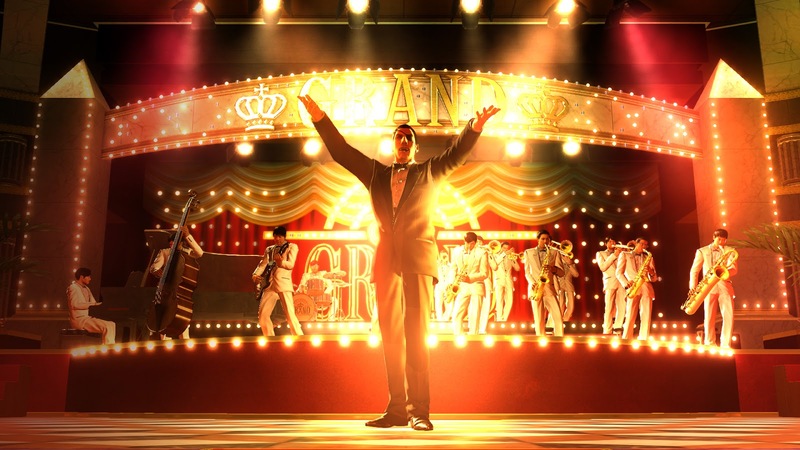 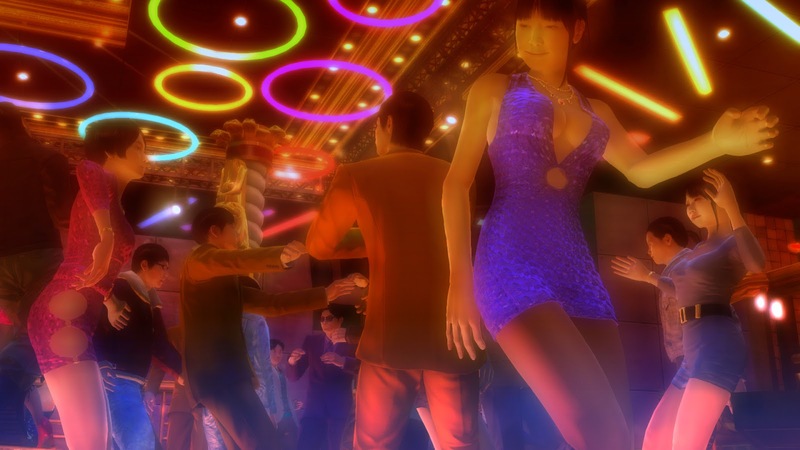 Three Business Cards - In addition to the card holder, the Business Edition also comes with three professional business cards from Tachibana Real Estate's Kazuma Kiryu, Cabaret Grand's Goro Majima, and the cabaret club Sunshine's hostesses.